In these terms and conditions “You” or “Your” means the person named in the confirmation invoice. “We” or “Us” means Mid Wales Holiday Lets, Penygraig Partnership, Bridge St, Rhayader, Powys, LD6 5AG. 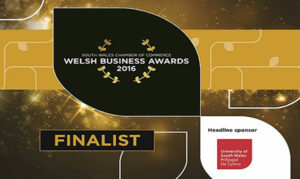 Your contract with us will begin when we issue you with your confirmation invoice either via paypal or PEnygraig Partnership. Your contract with us will be on the terms set out in these terms and conditions. All bookings are formally confirmed when we issue you with a confirmation email of the booking and not at the time of payment confirmation. This will all be issued by email. You, as the person making the booking, will be responsible for all members of your party and must be at least 18 years old at the time of booking. Payments will be made online for the full amount at time of booking securely via Paypal. If you book directly with one of our team via invoice – you will be required to pay 20% deposit on booking and then the full amount on arrival. Please note the deposit is non-refundable. If you do not leave the accommodation by the required departure time we reserve the right to charge you a late checkout fee to cover any costs we incur. If you leave any of your possessions behind at your accommodation, please contact us as soon as possible. We will hold all lost property for six months, after which it will be disposed of. Smoking is not permitted. You and your party must not smoke inside your accommodation. You and your party must not use candles, fireworks or Chinese lanterns at your accommodation. We ask dog Owners to observe the following rules (failure to do so may result in you being asked to leave without compensation and charged to make good any breaches). Dogs MUST NOT go into any bedrooms or any carpeted area. Please note that if you do not comply with the standards and behaviours set out in this Section 7 we may need to exercise our rights under “Our right to evict” section. Our website will automatically populate the price of your stay. Following payment, this will be processed by Mid Wales Holiday Lets and confirmed via email. We reserve the right to cancel breaks with any offers which are not eligible or pricing is found to be incorrect. We are not VAT registered, therefore prices do not include VAT or no VAT will be added. All prices given on our website include all charges for water, gas and electricity. Please note that it is not possible for us to change bookings less than 60 days before the start date. If the date is amended, we can not refund any difference in price and all special offers will not be eligible. If the cost of the new date is more than the original, full payment will need to be paid on the day of amendment. We will not charge any admin fees. As part of our Services we book or order goods or services from third party suppliers or vendors. This will apply to any activity other than the accommodation. Please note that any booking we arrange for you with a third party will be subject to that party’s terms and conditions of business. Terms and conditions of third party suppliers can be supplied on request. We do endeavour to ensure that all of our partners provide their Services to the highest possible standards. We will not be responsible for any failure on the part of that third party to adequately supply the Service (unless we have been negligent in selecting that third party or placing the order on your behalf). We will only change or cancel your booking if necessary to perform or complete essential remedial or refurbishment works or for other reasons unforeseen at the time you made your booking which are beyond our reasonable control. If we do need to change or cancel your booking under this Section, 9, we will only be responsible for foreseeable losses that you suffer as a result of that change or cancellation and we will not be responsible for any unforeseeable losses you suffer as a result of that change or cancellation. A loss is foreseeable if it is an obvious consequence of our change or cancellation of your booking or if it was contemplated by you and us at the time we entered into this contract. You must ensure that the maximum number of persons occupying the accommodation does not exceed the number stipulated at the time of booking. You must not bring additional camp beds to the accommodation. Exceeding the maximum occupancy limits can breach fire regulations and lead to extensive damage. As such, we reserve the right to require you to leave the premises (without any compensation) if you exceed the maximum occupancy limits. No other person must stay in the property other than those noted at the time of booking. If you discover that anything is missing or damaged on arrival at your accommodation you must notify us immediately on 07843477890. If you do not notify us we will assume that you caused the relevant damage or loss. If you have any problems with your accommodation, please contact us immediately and give us the opportunity to resolve it. Please contact us on 07843477890 or by email at book@midwalesholidaylets.co.uk. If you have an unresolved complaint at the end of your stay please contact us. In considering any complaint we will take into account whether we have been given the opportunity to investigate it and put matters right. If you are staying in Glandwr House, one of the team will visit daily to test the Hot Tub. We may communicate with you from time to time about our work. We will tell you how we do this on our website. These terms and conditions are governed by UK law. You and we both agree to submit to the non-exclusive jurisdiction of the UK courts. Discounts are only valid on new bookings and therefore the offer cannot be applied after a booking has been made. Discounts cannot be combined with any other offers or discount. Discounts must be booked by the time and date stipulated on the individual offer. 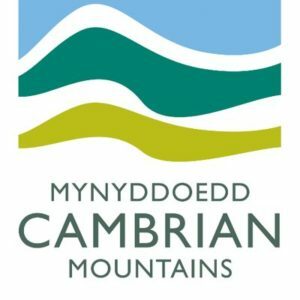 Mid Wales Holiday Lets reserves the right to change the terms and conditions of any offer at any time without prior notice by amending these online. Once we start an enquiry with the offer it cannot be altered or changed. “retailer” means the person who sells or offers for sale the package put together by the organiser. We are obliged to supply you with the following: the travel destination(s) and, where periods of stay are involved, the relevant periods with dates; • the means, characteristics and categories of transport to be used and the dates, times and points of departure and return; • where the package includes accommodation, its location, its tourist category or degree of comfort and its main features and, where the accommodation is to be provided in a Member State, its compliance with the rules of that Member State; • the meals which are included in the package; • whether a minimum number of persons is required for the package to take place and, if so, the deadline for informing the consumer in the event of cancellation; • the itinerary; • visits, excursions or other services which are included in the total price agreed for the package; • the name and address of the organiser, the retailer and, where appropriate, the insurer (see next paragraph); • the price of the package, if the price may be revised an indication of the possibility of such price revisions, and an indication of any dues, taxes or fees chargeable for certain services (landing, embarkation or disembarkation fees at ports and airports and tourist taxes) where such costs are not included in the package; • the payment schedule and method of payment; • special requirements which the consumer has communicated to the organiser or retailer when making the booking and which both have accepted; and • the periods within which the consumer must make any complaint about the failure to perform or the inadequate performance of the contract. We will not commit the monies paid until you are satisfied with your package, and funds will be kept separate to our management accounts. If you feel you have not got this information at the time of booking please contact us and please do not agree to the terms and conditions. Glandwr House guest’s have use of the hot-tub and sauna, on the full understanding that they use it in an accordance with the instruction provided at the property. Penygraig Partnership or those agents associated with marketing the property do not accept any responsibility for death, personal injury or failure of the equipment in connection with the use of this hot-tub and sauna. We aim to prepare the hot tub ready for guest arrival, however for the benefit of all users we must comply with very high Health & Hygiene standards when servicing and maintaining our hot tubs. In the event of the hot tub needing a full service following a departure, we cannot guarantee the water in the hot tub will be hot enough for use the first night of your arrival. The hot tub and sauna is for the exclusive use of guests staying in Glandwr House (and members of their particular party). All guest shower and remove makeup, deodorants and sun tan lotion before using the hot-tub – those with fake tan applied are not permitted to use the hot-tub. Children must be accompanied by an adult at all times and parents/guardians must accept full responsibility for their safety. Children under the age of 4 should not be permitted in the hot tub. Children should not enter the sauna. The cover must always be replaced and steps removed away from the hot tub spas when not in use to avoid danger. Use of the hot tub is restricted from 09:00am – 10:00pm to respect our fantastic neighbours. If you use the hot-tub, sauna and its equipment incorrectly or do not follow the instruction provided at the property, Penygraig Partnership will hold you fully responsible for any loss or damage caused to it and any associated equipment provided. Including unscheduled change of water.